Are you a Gleek? 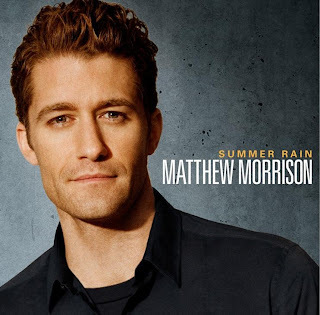 Last week, "Glee" star Matthew Morrison premiered his new single "Summer Rain," and it's now available on iTunes. Check out this neat behind-the-scenes video of Matthew Morrison's Summer Rain tour rehearsal. Matthew Morrison, high school teacher Will Schuester on "Glee," is set to release his debut album on May 10th! "Summer Rain" is the lead single on the album and was co-written by Matthew with Claude Kelly and the Norwegian duo known as Espionage. In celebration of his new CD, we're going to be giving away 3 SIGNED Matthew Morrison posters to a few very lucky readers! First, you must publicly follow this blog on Google Friend Connect. Then, leave a comment telling me about your favorite Glee character and/or episode. 1) Subscribe to this blog via RSS feed. 2) Follow @matt_morrison on Twitter and comment here with your Twitter screenname. 3) Follow @TheTwinners on Twitter and comment here with your Twitter screenname. 5) Become a fan of Matthew Morrison on Facebook and post on your Facebook wall about the giveaway (use the links below). Please comment here with the permalink to your wall post. 6) Become a fan of The Twinners Reviews & Giveaways on Facebook. 7) Follow this blog on Networked Blogs. 8) Follow my personal blog, Elana's Musings. 9) Subscribe to The Twinners emails and comment here after you've confirmed your subscription. 10) Blog about this giveaway, make sure to directly link to this post and comment here with the URL for 5 additional entries (be sure to leave five separate comments). 11) Add my button to your blog and comment with the URL of your blog for 5 additional entries (be sure to leave five separate comments). Make sure you have my updated button or your entries don't count!! 13) Vote for this blog by clicking each of the following icons for 1 additional entry per click (a total of 4 additional entries). You can do this once per day, and be sure to comment on all giveaways you're in! 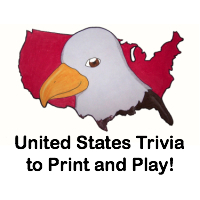 Please comment 4 times every day that you click to let me know you clicked for each one. This giveaway will close on April 11, 2011 at midnight. The winner will be picked via random.org and will have 48 hours to respond to my email or another winner will be chosen. We were not compensated to write this post, nevertheless all opinions expressed are truthful and my own. Permalink to my wallpost about the contest! i follow via GFC. I don't really have a favorite episode, but character wise? I LOVE Kurt, and Blaine is pretty close too. I just think Kurt is amusing, passionate, and emotional. I really feel for him. I'm following with GFC and my favorite character is Puck! Mark Salling should be on screen at all times, preferably shirtless. My favorite character lately is Santana. I think her "story" is becoming a lot more interesting in recent episodes. I love pretty much every episodes, but some of my favorites have been the episodes that show the tender relationship between Kurt and his Dad....so awesome! Followed Matt morrison on Twitter! Followed the twinners on Twitter! Kurt is my favorite character. I love his passion and his fierce attitude! Happily following @matt_morrison on twitter as "hopin2win"
My favorite episode is The Substitute with Gweneth Paltrow because she is a really good singer. I just loved the Singing in the Rain/Umbrella song. My favorite character is Brittney because she is so random and an awesome dancer. Following Matt Morrison on Twitter! Following The Twinners on Twitter! I am now a fan of Matthew Morrison on Facebook! My favorite character of Glee is Susan or Sue Sylvester cause she is tough and funny at the same time. New follower on GFC w/ katklaw777. I Follow @matt_morrison on Twitter w/ katklaw777. I Follow @TheTwinners on Twitter w/ katklaw777. I'm a gfc follower, and Sue is my favorite character! GFC follower. SalanderServant The Super Bowl episode featuring Thriller was off the charts.